Wonderful updated stone center hall colonial sits on a private lot on a quiet street in one of the most desirable locations in Newtown Square. It is in walking distance to Aronimink Golf Club and walking distance to school. 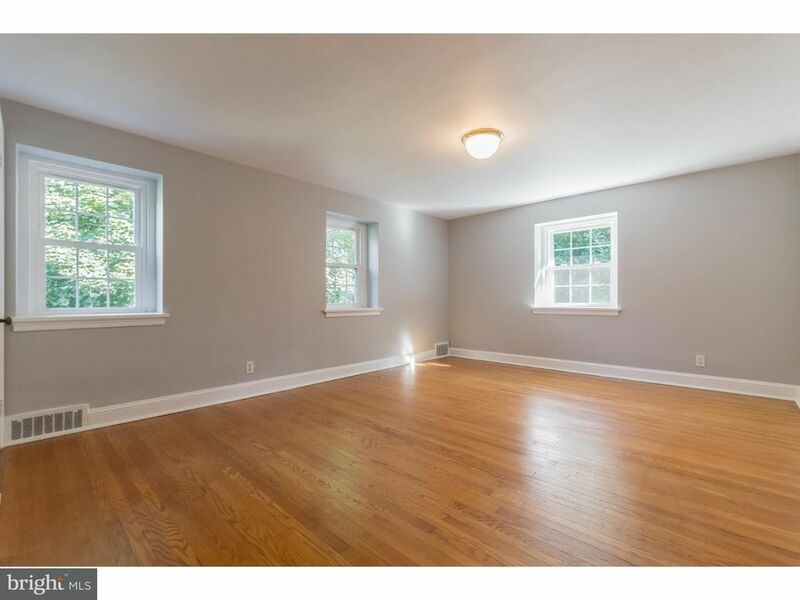 Features include 5 bedroom, 4.1 baths, new and refinished hardwood floors throughout, beautiful sun room addition w/built-ins and wall of windows with access to patio. Family room w/fire place is open to kitchen, eating area and sunroom. Formal dining room with built-in cupboard & bay window. Large formal living room with fire place, bay window and access to the sunroom and office. Updated open kitchen w/all new SS appliances and freshly painted cabinets. Eating area; 1st floor office; laundry/mud room and powder room. 2nd Floor has a Large master suite w/cathedral ceiling, new exercise room addition, luxurious master bath and walk-in closet with vanity. 2nd bedroom with bath, in-law/au pair suite with bath and separate stairs, 2 additional bedroom and hall bath. In addition the entire house has been freshly painted inside & out, many windows have been replaced, HVAC serviced, 2-zone heating, cable TV in every room. Current owner had pre-listing home inspection and corrected many of the repairs in the report. List is available upon request. Convenient to RT 252, 202, 476, many shopping options and the Main Line. MUST SEE INSIDE!! Available for lease purchase option!